i was given the huge opportunity in 2001 to be the Executive Director of Santropol Roulant, an extraordinary non-profit based in Montreal in which food is the central means of nourishing and cultivating a conscious, innovative, sustainable and engaged inter-generational community. during this time, i found myself at once exhausted and exhilarated by the work and began to ask how i could sustain my own energy, as well as how we could sustain that of the organization's over the long term. we were seen as very innovative in how we engaged young people in community as volunteers and through employement skills, built intergenerational relationships through food initiatives, and offered social services with a vision for social change. there was a lot of interest in "scaling up" our work and the impact of such a high energy innovative place. however, our greatest innovation was not in how great our programs were, but rather in cultivating the conditions for such innovations to be born, and sustained. this is a different kind of work. it is cultivating rich soil so that over the long term, there is a healthy and resilient eco-system that feeds and inspires diverse wildlife and weathers internal and external storms... what i mean by that is that we shifted the focus on what the core of the work really is - it's not only what we produce but where it comes from, not just what we do but how we do it. that our innovation was our culture and it is not our work to "replicate" culture, but to lead by example and become an "attractor". we realized the sustainability of innovations comes from intentionally creating and nourishing an internal culture of collective learning, leadership, engagement and reflection. this process and these practices deepened how we worked, related, evaluated and evolved, and how we raised money and created programs and partnerships. significantly, it changed how we talked to our funders and community about who we are and what we really need in order to sustain vitality, nurture cultures of care and innovation, and move with courage through the natural cycles of life. my 5 years there were an immersion in the complexity and lifecycles of "nourishment" - for ourselves, and others, and to our larger systems, through both service & social action and through tending the needs of our individual and collective inner lives to be able to respond with depth, perseverance and creativity to the realities and potential of the external. it inspired my own very personal journey which i called my Freedom 35 - a time of of journeying inward and outward and being in the living experiment of what the yoga of sustainability meant to me. by this, i meant how i could sustain the light of my inner landscape, and how this connected to and aligned with my outer actions. 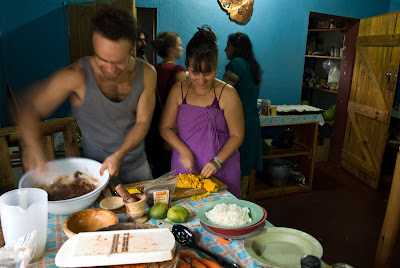 i traveled all over India, South East Asia and Mexico not as a "social change agent" or an "executive director", but as a seeker, a yoga practitioner, diving into vegan raw foods, local and international gastronomie and the different spiritual and healing practices offered in each place. at a deeper level, i was in the question who am i when i am not defined by an external title or role? naked, i encountered many of my own shadows, and only once i began to love and accept them, was able to integrate them into my story. my body spoke to me very strongly; i learned to listen to my intuition, wisdom and soul in new ways. it was a journey of finding those fragments of my self and identity that i'd not known or wanted, and seeing a new wholeness in myself emerge. as i traveled, i began to weave these levels together, by practicing collectively with others.